So light and delicate! 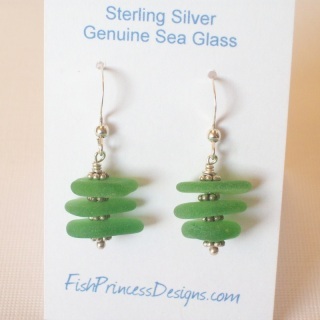 These light sea foam green sea glass certainly do look like a pair of mermaids tears. A tale about sea glass is that they are called "mermaid's tears" because long ago when sailors sailed away on long voyages, the mermaids would cry for their loves. As their tears hit the water they turned into solid pieces of colored glass...mermaids tears. The only tears I want you to shed is tears of delight when you wear these sea glass earrings! Just over 1.5 inches in length, wired to sterling silver fish hook ear wires. The pastel sea foam sea glass is highlighted by two light azore Swarovski crystals to add a bit of sparkle! 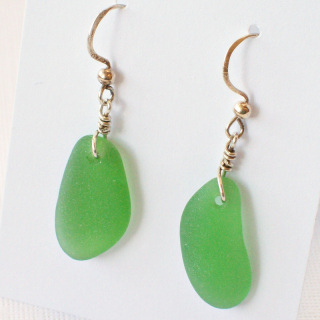 Sea foam sea glass is considered an uncommon color of sea glass. 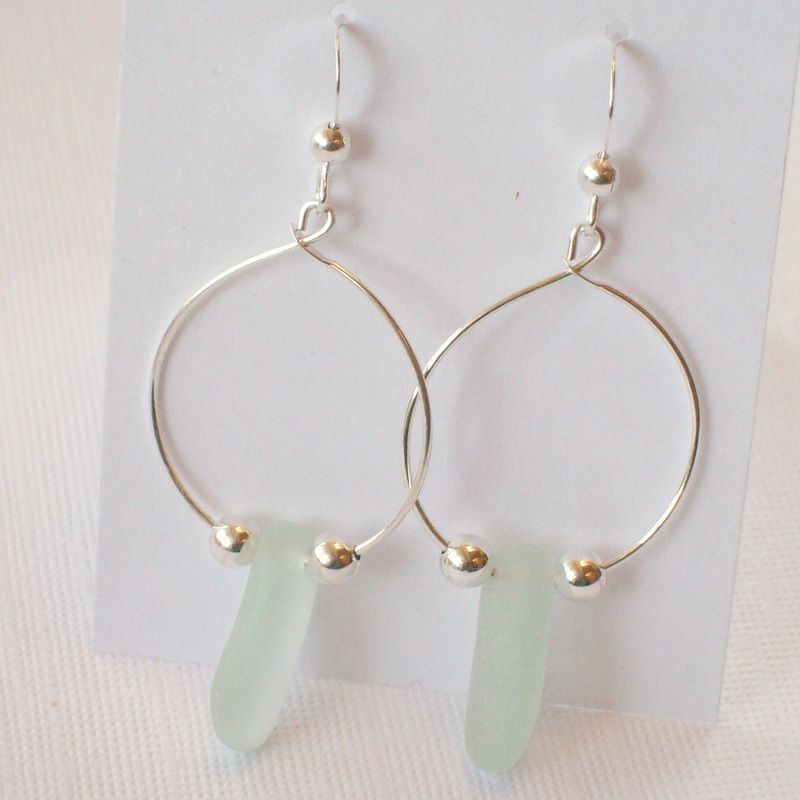 Simple sea glass drop earrings in a light kelly green. Well frosted and matched colors of sea glass. These earrings have a bit of texture to the glass-perhaps they started out as a bottom of a soda bottle! Great green color, without being overpowering. Very light weight, these will be easy to wear. Just over 1 inch in length. I'm always amazed in how many shades of green sea glass can be found. 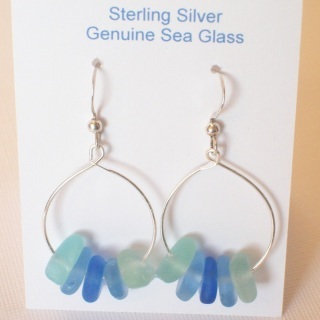 I always say the finding of sea glass is only half the battle-try matching two pieces in size, shape and color! These are very well matched is size, shape and color. 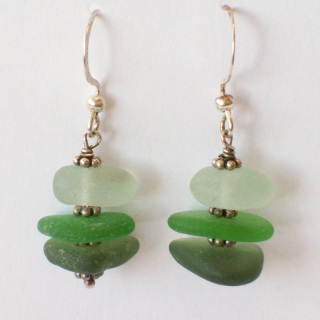 From pale green to a deep olive green, these are are great pair of sea glass earrings. The sea glass is separated by sterling silver spacer beads and wire wrapped to sterling fish hook ear wires. The length is about 3/4 inch from the bottom of the ear wire. These have to be one of my favorite pairs of sea glass earrings. The colors are fabulous-just like a Hawaiian ocean beach. 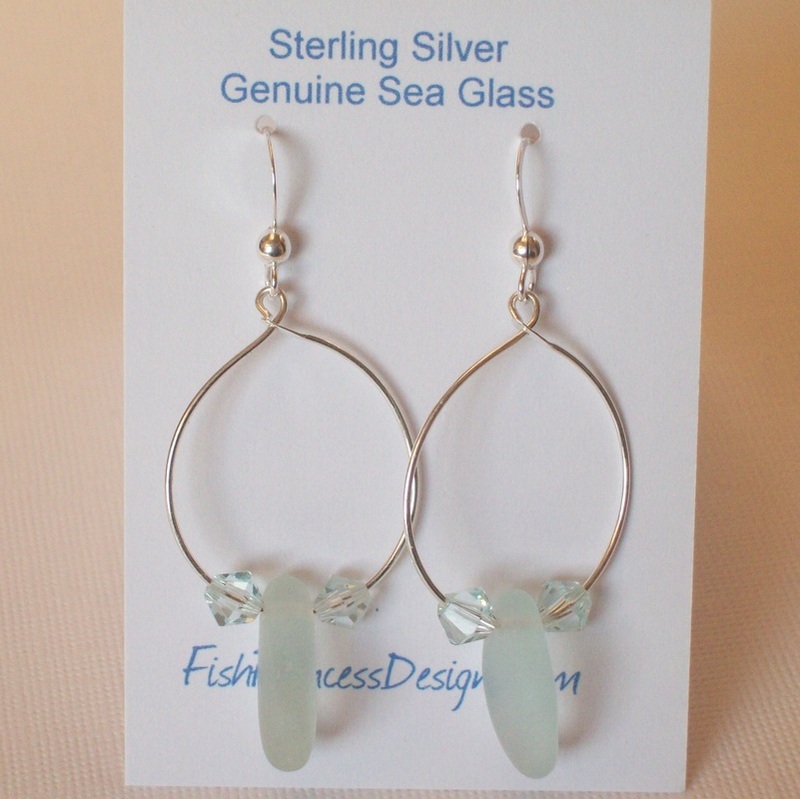 There are 5 pieces of Hawaiian sea glass on each earring. But don't worry, the earrings are light weight. 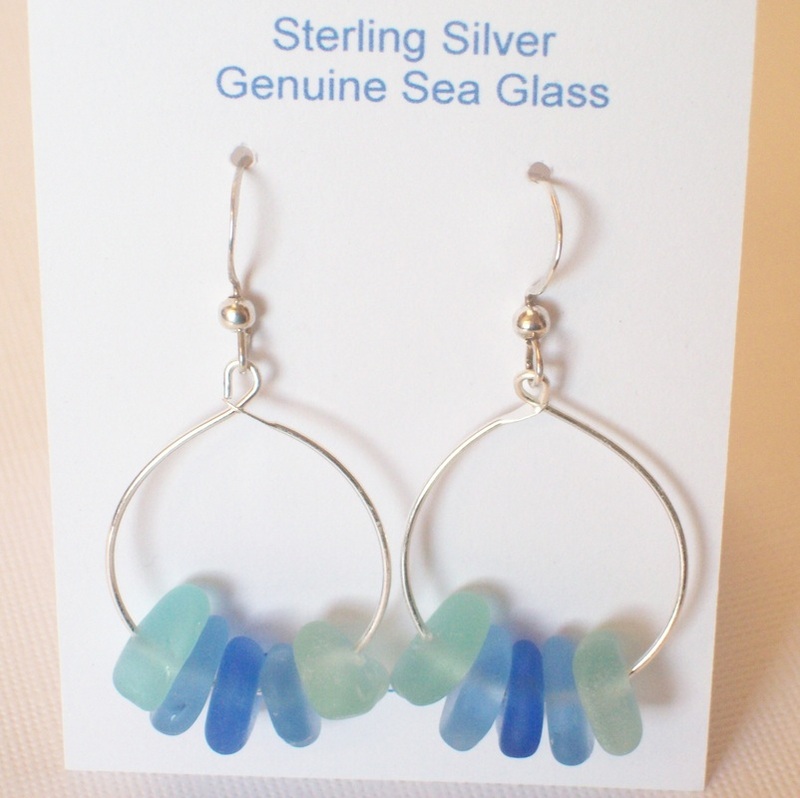 Just like the ocean breezes, these earrings will sway with your every move. Attached to sterling silver hoops and ear wires.These earrings dangle about 1.25 inches in length. It's always summer somewhere, and this bright, lightweight stacked trio of kelly green sea glass will certainly make you feel like you're enjoying a day at the beach! 3 pieces of green sea glass are separated by sterling silver daisy spacers and wire wrapped to sterling silver fish hook ear wires. About .75 inches long from the base of the ear wire.